Here’s how to take a simple map on a white background and turn it into an aged paper handout. First of all you need a good paper texture. There are thousands of these free on the internet. As always, www.cgtextures.com is a good bet, under Paper->Plain. 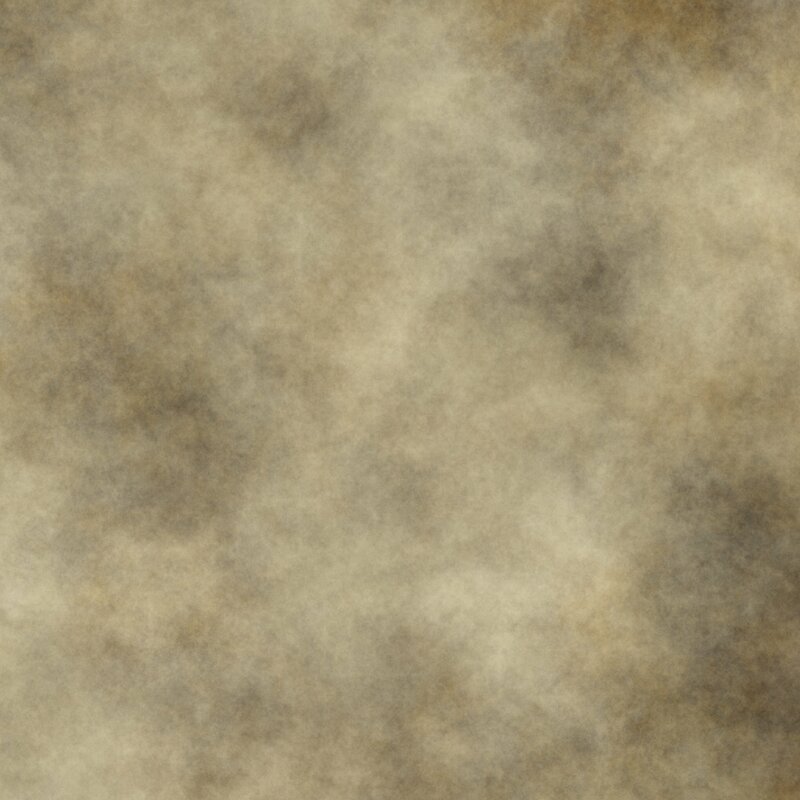 You can also find hundreds of paper textures on deviantArt.com (just search for “paper texture”). Free background texture, CC-NC-SA licensed. Take your original map – here we have a simple 3 colour map with a couple of locations marked with crosses. It’s useful, but not that atmospheric. You can use a simple pen and paper line art map at this stage. You can even take a picture of a paper map with your phone as the starting point. 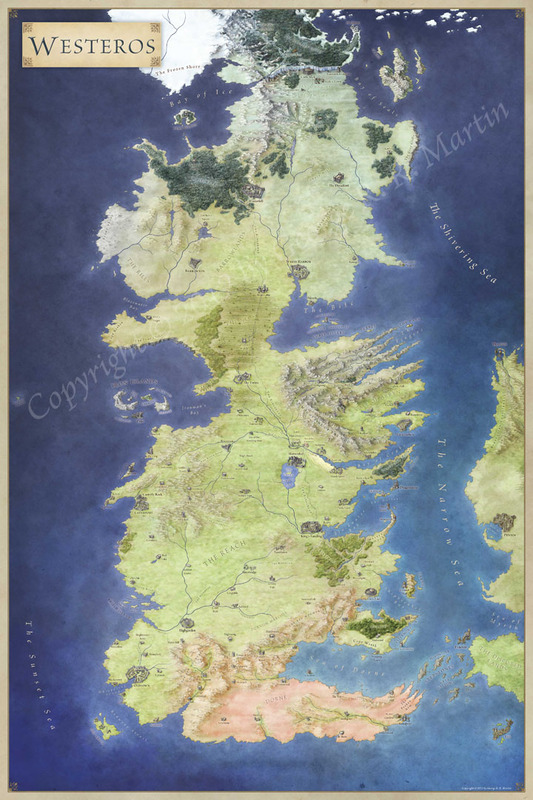 Add a parchment background as a layer behind the map. You won’t see it initially (the white background blocks it out) so change the blend mode of your map layer to multiply. This only darkens, so the white background will disappear. Drop the opacity of the layer to 50% to give a light watercolour look. The 50% multiply layer is a little washed out, and we want to darken the lines and bump up the colours. To do this, duplicate the layer and set the blend mode to colour burn. This will boost the colours and burn in the dark lines – and once again the white is transparent for this blend mode.. I’ve set it to 70% opacity. Play with the opacity of the two blend modes to get a look that you like. You can also use colour and saturation blend modes with this to build up a nice effect. And just like that you have an aged paper hand out. Much easier than tea staining or baking a hand drawn map, and with less chance of setting fire to the oven. If you want to go further, there’s more that you can do to bump up a handout. Try a few of the more destructive ones – if you ruin one printout, just print it again and repeat! Crumple the paper multiple times and flatten it. After a few iterations, the paper will stop looking creased, and feel more like wrinkled cloth. Burn the edges – careful, it can be hard to put out paper once it’s lit. Even a spark on an edge can keep eating up your handout. And don’t put it out with water – if you’ve used an inkjet printer, the water will make the ink run. Blow it out, and apply pressure to put it out fully. Fold, and re-fold along central lines. It gives the paper a dog-eared look. Equally, fold it up and carry it in a back pocket for a week. It’ll look authentically used. And if it wears through along a crease? Even better – just make sure there isn’t any critical plot point on a fold. Each of these can lend a little extra suspension of disbelief to a game. But you can take it even further. In one memorable game, we were chasing down a lead, and faced off against an enemy wizard. We took him down eventually with a well placed fireball. Flush with victory, we looted the body, and the GM said ‘you find a map’! He picked up the pristine handout – carefully teabag aged, and printed in curling copperplate. Just before he dropped it over the screen he pulled back. ‘Wait a minute – you killed him with a fireball’. He pulled out a lighter, and set fire to the map – dropping it onto the table. The whole group dove for the handout, stamping it out with our hands, no thought for our own burns. Never have I seen a group of teenagers move so fast. Paper handouts are the easiest physical prop to make, and great for key pieces of exposition. Have fun, and add your own favourite methods in the comments. Thanks for the tip on the layers, very much appreciated!